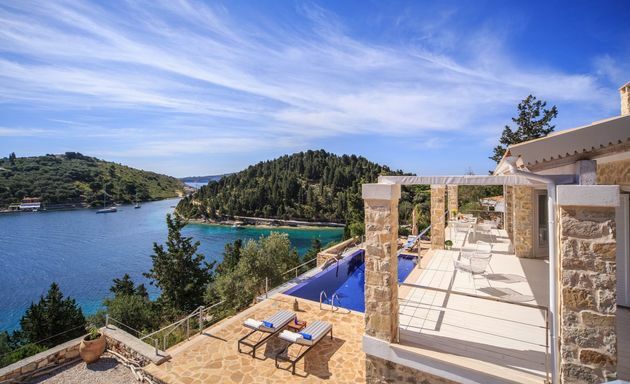 Villa Bougainvillaea hides away amongst tall pine trees on Paxos' west coast with dramatic sea views. 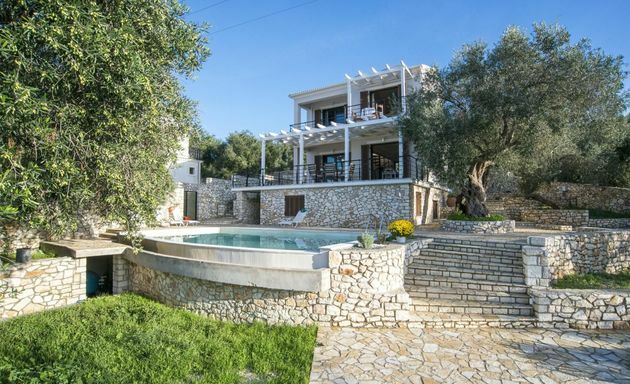 Villa Bougarini is a modern villa just 500 metres from an east coast Paxos beach. 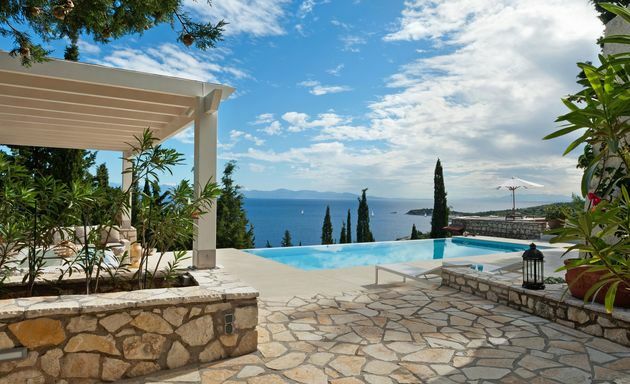 Villa Bounatsa has a dramatic hillside position overlooking Mogonisi Bay at the southern tip of Paxos. 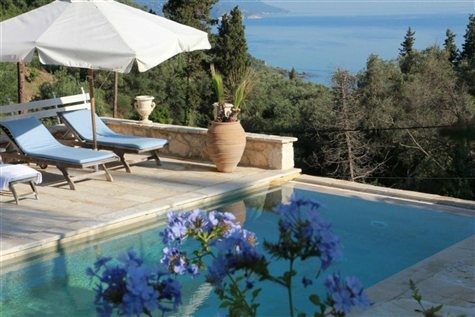 Villa Brunella is a beautiful home set on a hillside above the long sandy beach of Pelekas on Corfu’s west coast. Villa Calypso has total privacy within large private grounds of hillside terraces overlooking Aetos Bay. 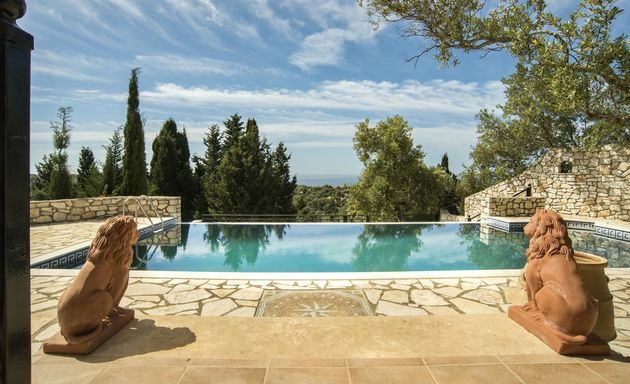 Villa Camilla looks out across the sea to the island of AntiPaxos and the mountains of the mainland beyond. A holiday at Villa Caretta will appeal to those looking for a simple, reasonably inexpensive escape from the crowds. 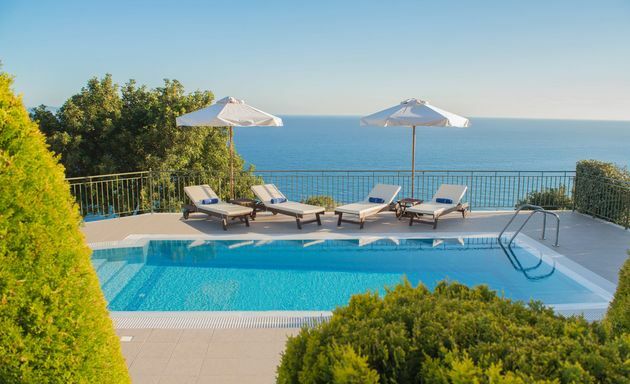 For such a special location in Corfu Town, we consider the Cavalieri to be excellent value. 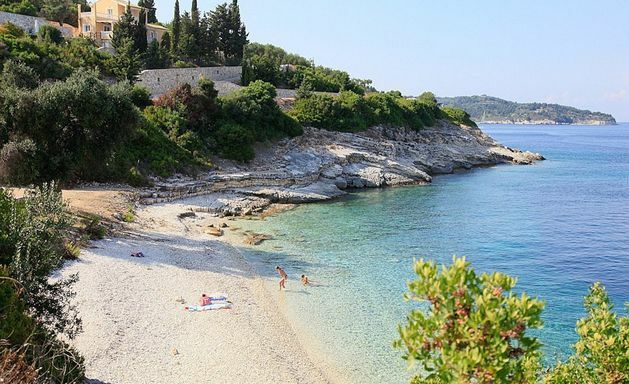 Cavallino is hidden away in the hills above Lakka just a 5 minute drive away or a 25 minute walk from the Lakka waterfront. 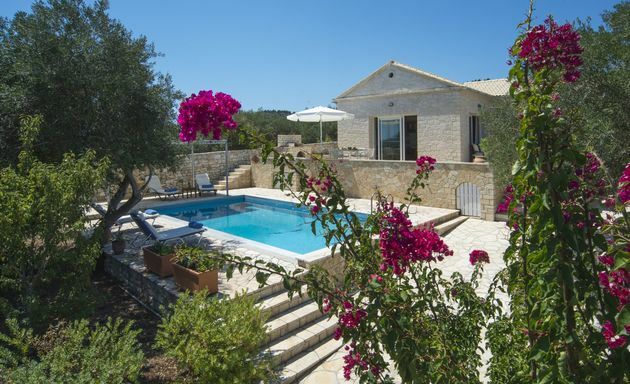 Chloe is surrounded by hillsides of ancient pastures enclosed by dry stone walls, olive groves and cypress trees. 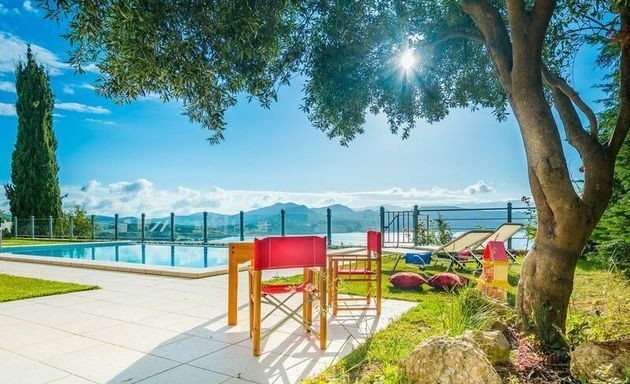 Villa Chrissa is one of the most stunning villas we have seen on Lefkas - set on a hillside of olive, pine and cypress trees above the east coast between Lefkas Town and Nikiana. 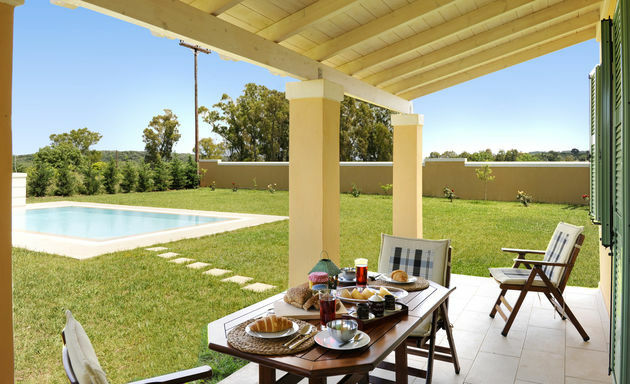 Villa Christina lies just a 5 minute walk away from the two beaches of Marmari and Kippos, two bays south of Loggos. 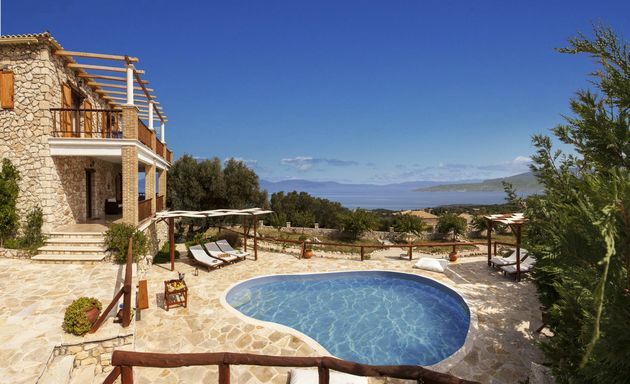 Villa Circe stands on a wide hillside terrace of olive groves above the south coast between Lourdas and Katelios. 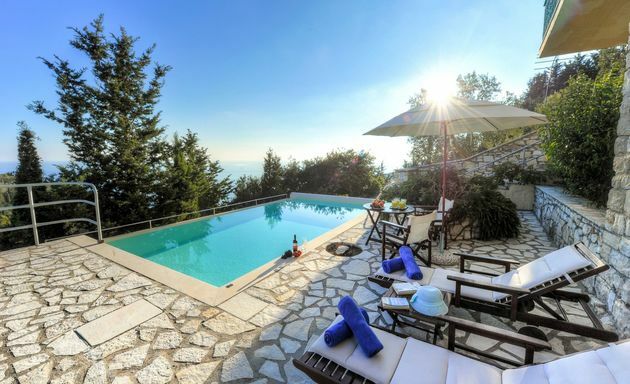 Villa Clarissa, on Paxos' east coast, is a 2 minute walk to a beach and has spectacular views across the sea to Corfu. 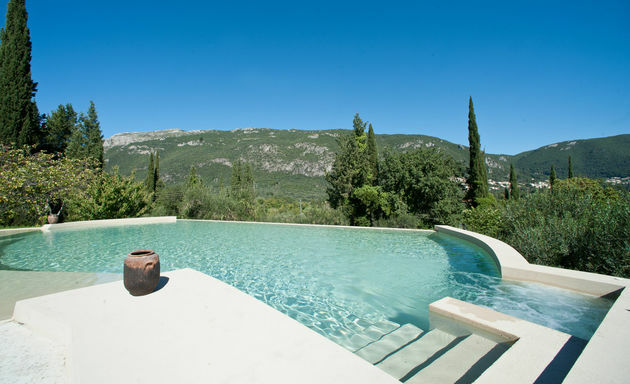 Villa Clio sits privately above Paxos' east coast, close to Mongonisi Bay, just a 2 minute walk to the sea. 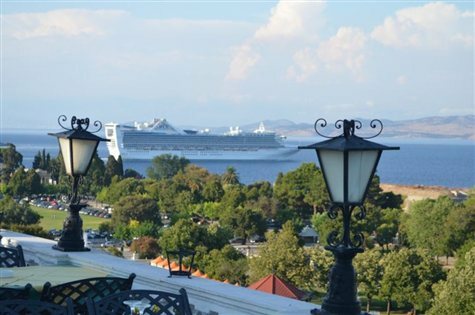 A 5-star, comfortable hotel conveniently close to the heart of Corfu's Old Town. The Country House is 7 kilometres inland from Corfu's north east coast and offers a private, rural escape from the outside world. Surrounding terraces allow the villa to enjoy views of both the rising and the setting sun and a 280 degree panorama.